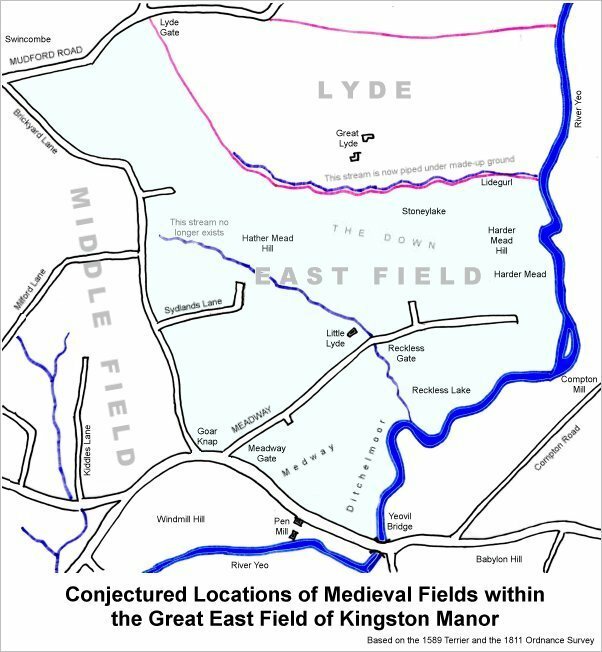 Holloways Close was a long, medium-sized field running southeast from Meadway (today's Lyde Road) and had once been part of the great Medieval East Field of Kingston Manor and would also have been part of the Medieval sub-field called Reckless Lake. 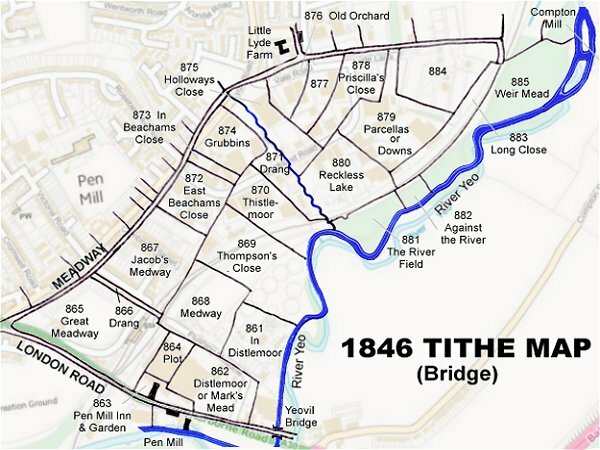 While the 1842 Tithe Map shows Holloways Close (Parcel 875), the 1846 Tithe Apportionment does not mention it at all, so details of ownership are unknown. 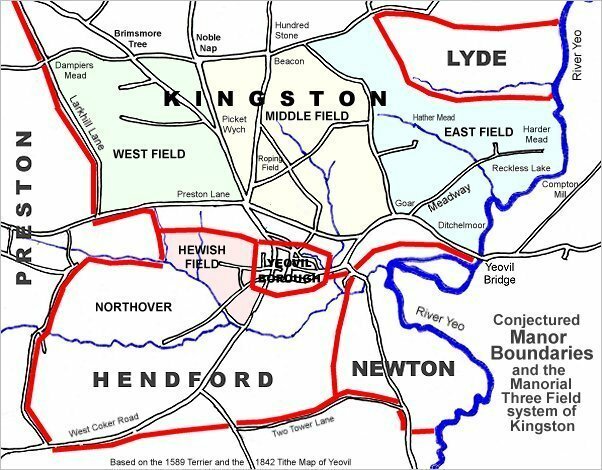 From other sources it is known that the field was used as pasture fro grazing livestock and measured 3a 1r 20p. 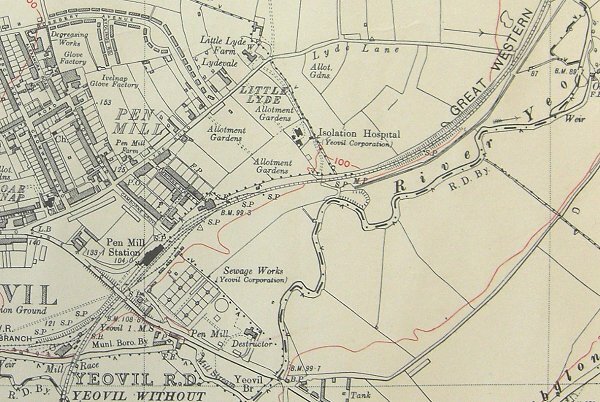 Holloways Close (Parcel 875) was bounded on the northwest by Meadway, 0n the southwest by a small brook which is no longer evident above ground and is, presumably, piped underground, on the southeast by Reckless Lake (Parcel 880) and on the northeast by Old Orchard (Parcel 876), an un-named field (Parcel 877) and Priscilla's Close (Parcel 878). 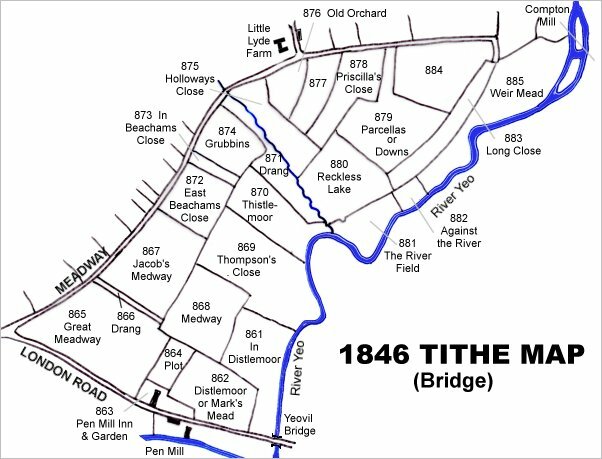 Today the site of former Holloways Close is approximately at the junction of Lyde Road and Vale Road and includes Bookers Cash & Carry and other buildings of the Pen Mill Trading Estate to the southeast as far as Buckland Road. 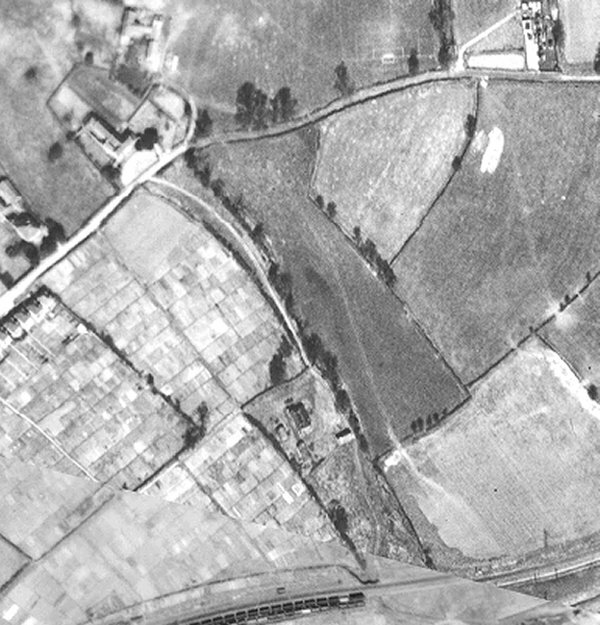 A 1946 aerial photograph showing Little Lyde Farm in the top left corner with Holloways Close at centre. Note the train at bottom.